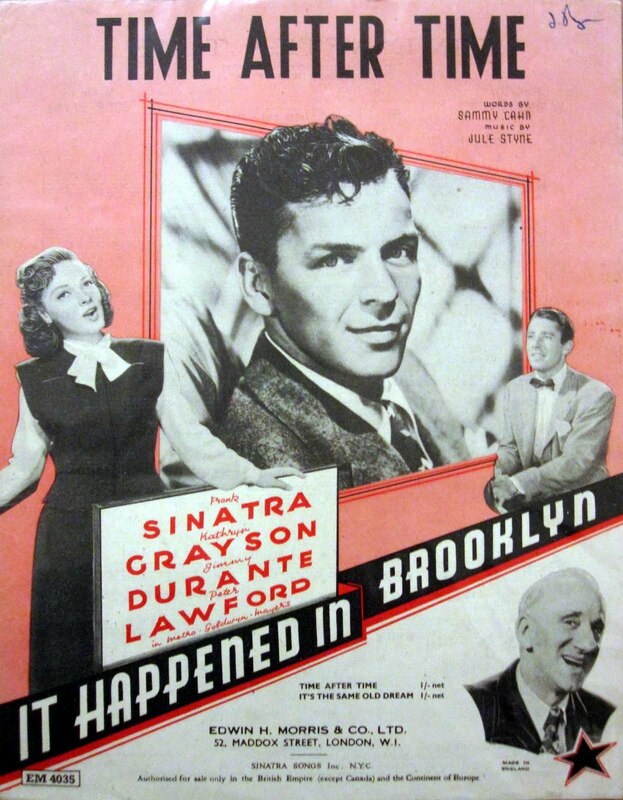 “Time After Time” was written in 1947 for the movie It Happened in Brooklyn. The song was introduced by Frank Sinatra and was a major hit for him. This song has been widely recorded by many artists.In his fine book The Jazz Standards, Al Gioia quotes Jule Styne as saying “It’s a man’s song — ‘Time After Time.’ When a woman sings it, it is drained of all its power, so to speak. The girls can’t do it.”Well, tell that to Sarah Vaughan, Ella Fitzgerald, Carmen McRae, Anita O’Day and Cyndi Lauper. Time After Time was recorded on April 9, 1958 and released in 1958 on the album Long Ago and Far Away. It was arranged by Frank DeVol. “Time After Time” was recorded on April 8, 1964 and released in 2011 on Tony Bennett Live at the Sahara: From This Moment On, as part of the 2011 Complete Collection. It was arranged by Ralph Sharon. “Time After Time” was recorded in June 1992 and was released that year on Perfectly Frank. It was arranged by Ralph Sharon.